Paulo is a metallurgical engineer graduated by Universidade Federal Fluminense in Brazil. Previous experienced at the metal-mechanicals and automobile industry, before joining the nuclear industry in 2010. 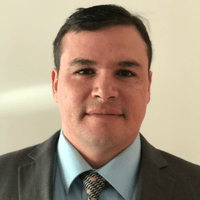 Paulo is currently the Head of the Quality Assurance Department at Eletrobras Eletronuclear, with responsibility for managing the implementation of the Company’s Quality Assurance System in all phases of an enterprise. As a Lead Auditor, he has carried out supplier’s evaluation according with brazilian standard CNEN NN 1.16 and has participate as auditor member of Nuclear Procurement Issues Corporation (NUPIC) audits.